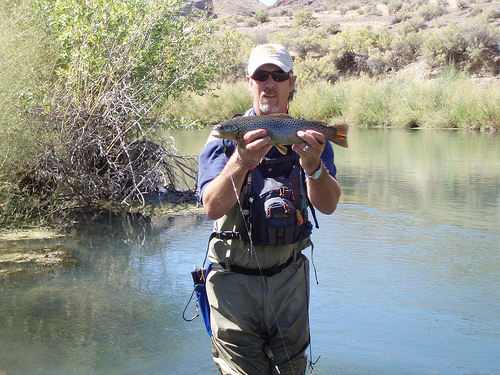 The October 24th Fish-Out scheduled for Billingsley Creek has been changed to the South Fork of the Boise. Reports from Billingsley Creek haven’t been very good so in the October members meeting it was decided to head over to the South Fork instead. Anyone interested in car pooling or caravanning over should meet at the TA Travel Center (4115 Broadway Ave., Boise). We will be leaving TA at 8:00am. This entry was posted on October 21, 2009 at 4:59 pm and is filed under Fish Outs. You can follow any responses to this entry through the RSS 2.0 feed. Both comments and pings are currently closed.